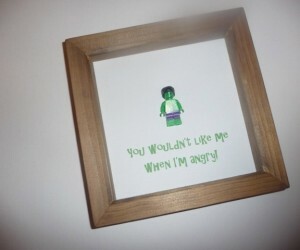 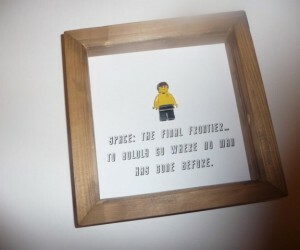 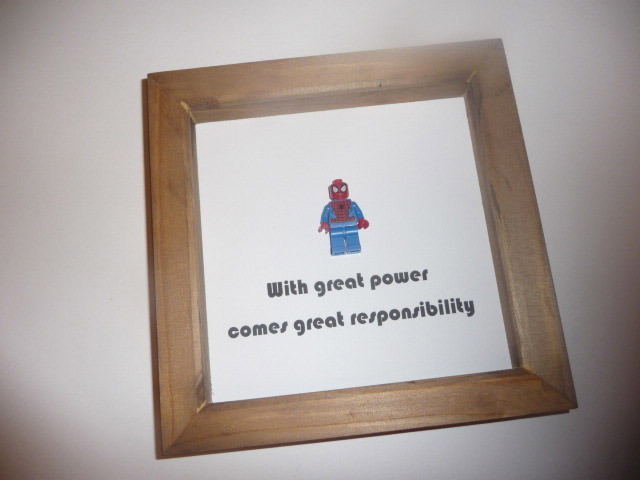 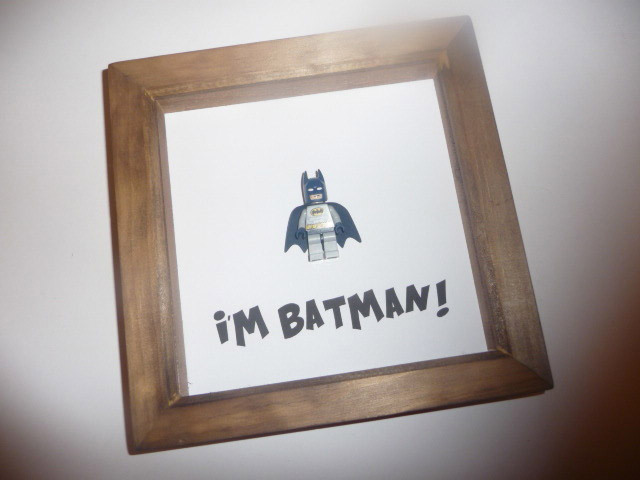 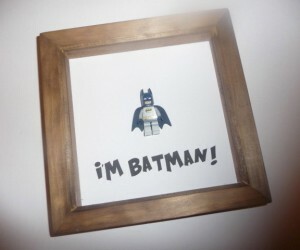 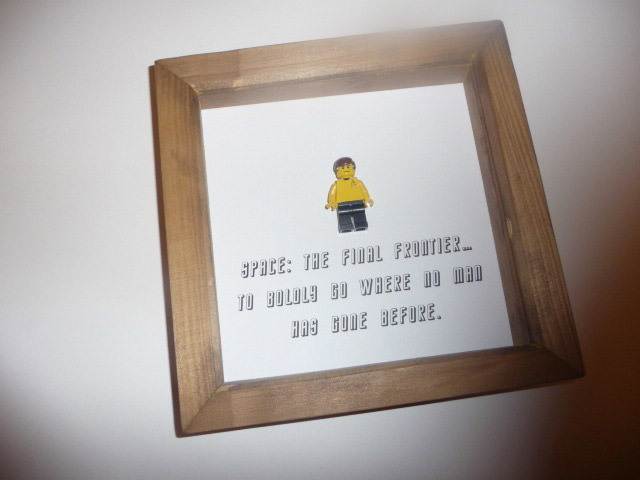 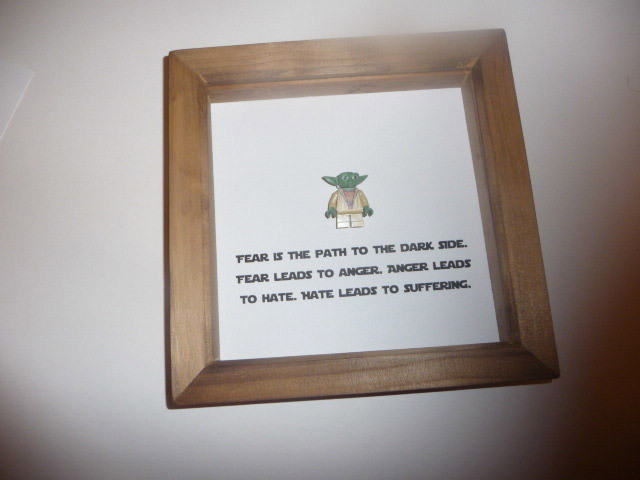 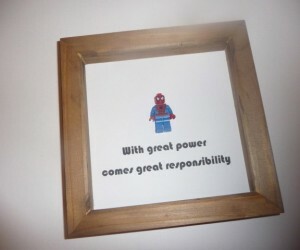 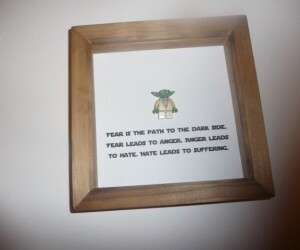 The UK-based Framedup shop on Folksy creates these unique pieces of art with LEGO minifigs, a simple wooden frame, and a clever caption for each. 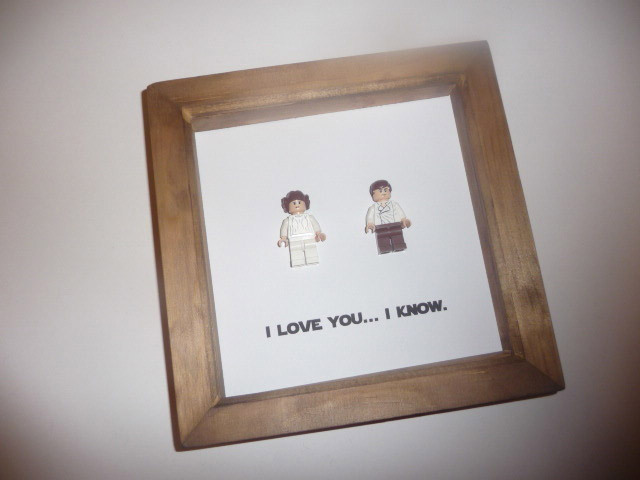 We’ve shared a few of our favorites, here, but be sure to take a look at the whole selection. 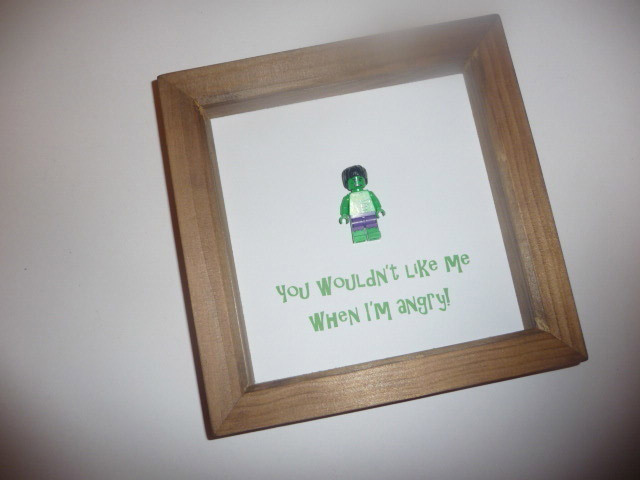 The pieces range in price from about £20 to £40 each. 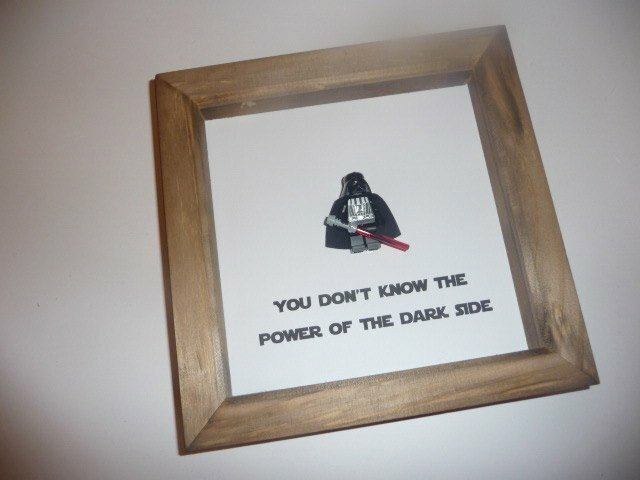 What is that in U.S. dollars, who can say? 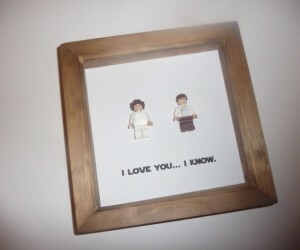 These are cute and it would be great to have a set hanging in your office at work just to see how people react.